Dash was one of our first two babies to leave the fold. 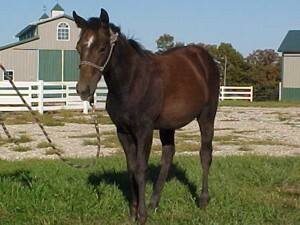 We sold him at the Heritage Place Yearling Sale last fall. He was born a bay, but was turning a beautiful gray when we last saw him. 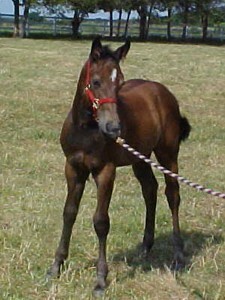 Dash was sired by Dashin is Easy (S.I. 103), a gorgeous gray stallion with a great personality, standing at Lazy E Ranch in Guthrie, Oklahoma.